Well, I hate to say it but his recent elbow injury explains a lot. This wasn’t the news fans wanted to hear, especially after all the playoff contention talk for the 2015 season. I remember waiting for him to be called up to the Mets much like any other fan. People were raving about his fastball saying that he’s Major League ready. People had expectations that he’d be a Matt Harvey type pitcher. But, things didn’t exactly turn out that way. And with talk of possible Tommy John surgery, the Mets rotation may just take a hit. Wheeler’s Major League stuff was never in doubt. In a lot of ways he did deliver. In my opinion he has one flaw that stick out. I’m in no way a scout (although I think I’d be good at it) or a talent evaluator on any level. I’m just throwing that disclaimer out there. The fact of the matter is, he throws a lot of pitches. And it’s pretty clear it’s a control issue. It’s almost to the point where sometimes I feel he needs to stew a little bit in Las Vegas for a while. 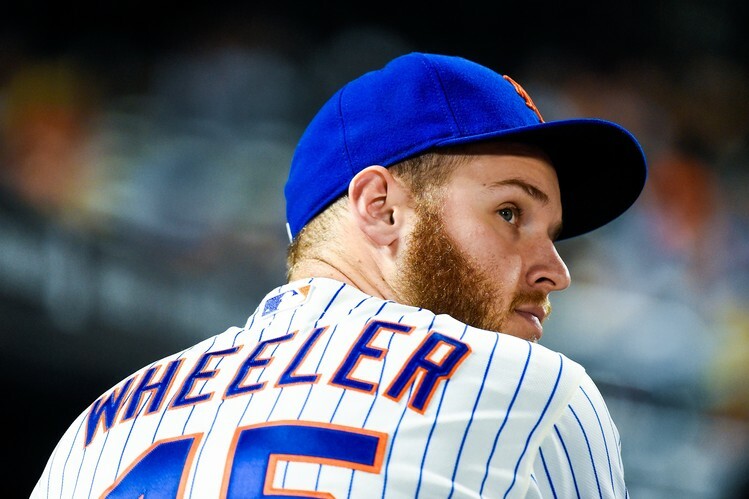 I know sending him down would be an unpopular idea among Met fans who want to see Wheeler in the Mets star studded rotation. In Wheeler’s defense he does strike out a lot of hitters. But, he also walks more batters than most people want to see. He also goes on to say that Syndergaard and Steven Matz are viable replacements. But that may be a last resort because Terry Collins already promoted Dillon Gee into the team’s starting rotation. Rafael Montero’s name was also dropped into the mix but it’s largely unconfirmed and most likely a rumor. If surgery has to happen, it has to happen. Whether or not surgery happens, we’d still be missing a key spot in the rotation. Dillon Gee is the guy Terry is going with to fill in Wheeler’s role but, I’d rather have him in the pen. But to be clear, it’s not a bad option at all. Gee may not have the stuff Wheeler has but, he’s a good enough band aid with much more experience than Syndergaard, Matz and Montero. What do the readers of the Daily Stache think? Is losing Wheeler a deal breaker for a competitive 2015 season? Do you believe in Gee to fill the role? Or are you frustrated with the recent injuries thus far? Let me know in the comment section below. Either way, I wish him a speedy recovery. Next Story → How Long is the Leash for Travis D’arnaud?